Signs in Austin have a reputation for being creative and unique. If you are starting a new business or buying an existing business, getting a new sign is exciting, and one of the things your new business will need. One possible way to save money on new signs is to use the existing structure instead of building an entire new sign from the ground up. 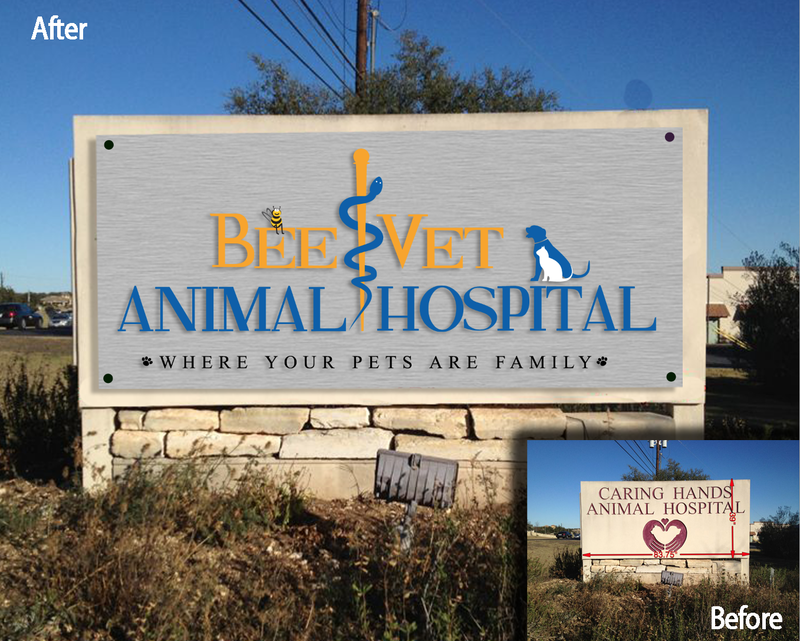 In the example below our client who ordered a sign from our South Austin, TX location, chose to use the base which was a sandblasted monument sign. This will cover the existing sign with aluminum panels and dimensional laser cut acrylic lettering. This cheaper option saved our client a couple thousand dollars, and their new sign helps to really get their new business noticed.